Bi-annual event raises money for the Castle Shannon, Pennsylvania Volunteer Fire Department to support their operations. Cody, Wyo. (August 2018) – Big Horn Armory, makers of big-bore firearms, are donating a Model 89 rifle to theCastle Shannon Volunteer Fire Department Fall Sportsmen’s Bash, to be held Sept. 8, 2018 at the Castle Shannon Memorial Hall in Castle Shannon, Pennsylvania. The bi-annual event is hosted by Allegheny Arms & Gun Works, Steel City Harley Davidson, and Pit Stop Rt. 88. The Sportsmen’s Bash is a huge 5-hour raffle benefiting the Castle Shannon Fire Department. Tickets for the event are $50 and provide not only entry into the event, but all you can eat and drink throughout the day, as well as entry into all 62 of the main ticket raffles. Drawings are held every 5 minutes and include firearms, multiple $10K cash prizes, a Harley Davidson, a Disney vacation package and one final $30K prize draw at the close of the day. Each event ticket has two numbers on it and each can be drawn as a winner an unlimited number of times and you need not be present to win. In addition to the main ticket, several side raffles will be held offering those participating a chance to win one of three premium firearms including the Big Horn Armory M89 “Spike Driver.” For more information on the event, or to purchase tickets please visit https://www.csvfd.org/Mega/THEPRIZES.htm. 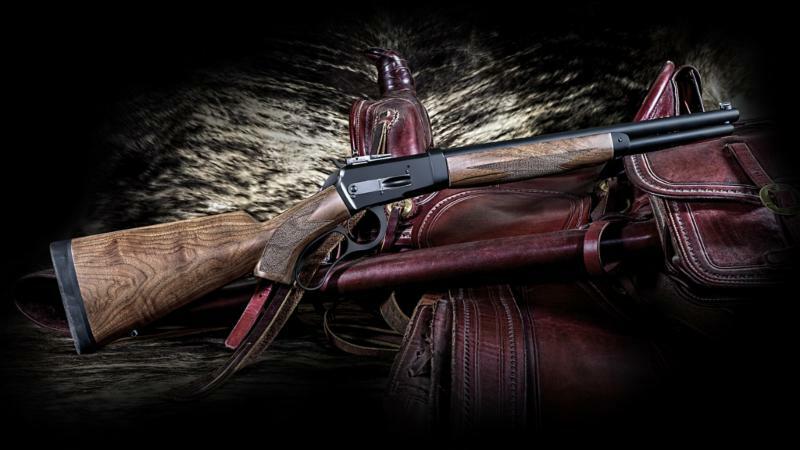 The M89 lever action rifle, Big Horn Armory’s flagship, in 500 S&W magnum, combines the heritage and craftsmanship of American firearms design with the latest in engineering, materials and technology to provide a thoroughly modern platform for today’s big game hunter. The pistol-grip stock and fore end are made from select American black walnut with 20 lines-per-inch checkering. The buttstock also has a one-inch recoil taming pad. The curved lever is hunter-friendly for easy operation, even with gloves. Big Horn Armory was founded in 2008 with the expressed intention of designing a Browning-type lever-action gun chambered in 500 Smith & Wesson Magnum. The Big Horn Armory Model 89, made in America, closely follows the work of John Browning with refinements courtesy of modern metallurgy and machining capabilities. The first rifles began shipping in September of 2012 and since then, BHA has added to their big bore lineup with a Model 90 Carbine in 460 S&W, the Model 90A in 454 Casull, the Model 90B in .45 Colt, the Model 89A in 500 Linebaugh and the Model 89B in .475 Linebaugh. In 2017, Big Horn Armory took a departure from its lever-action series and developed the AR500 Auto Max, the most powerful short-range, semi-auto based on an AR .308 platform. This entry was posted in Promotions and tagged Big Horn Armory, Model 98, Pennsylvania Volunteer Fire Department. Bookmark the permalink.